I'm hoping that this is the last post in the 10th Anniversary Giveaway, although I'm probably going to need at least one more. I've enjoyed throwing the giveaway, but it hijacks the blog and limits what you can do. For example, I am soooooo far behind in acknowledging recent packages I've received. I can't be one of those bloggers who just ignores cards arriving freely at the homestead, so this giveaway is making me a bit jumpy. 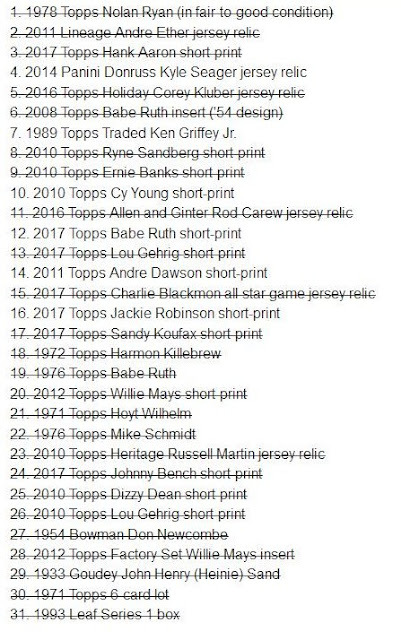 One package of cards that I absolutely must jam into this giveaway is the big box of cards from Johnny's Trading Spot that I've mentioned in several posts. 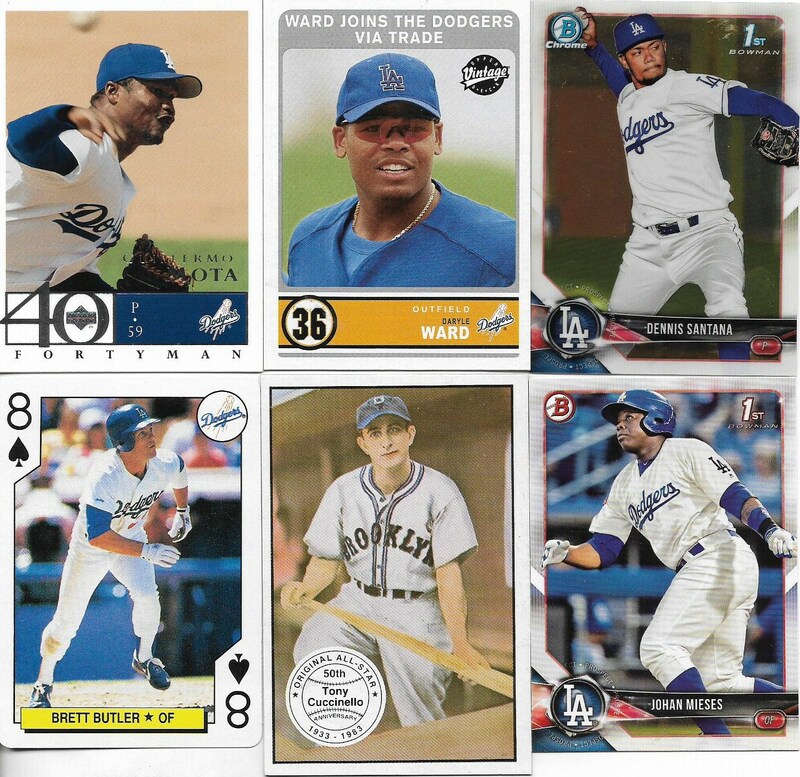 I'm still not done with that because I haven't shown all the Dodgers that I needed from that package. 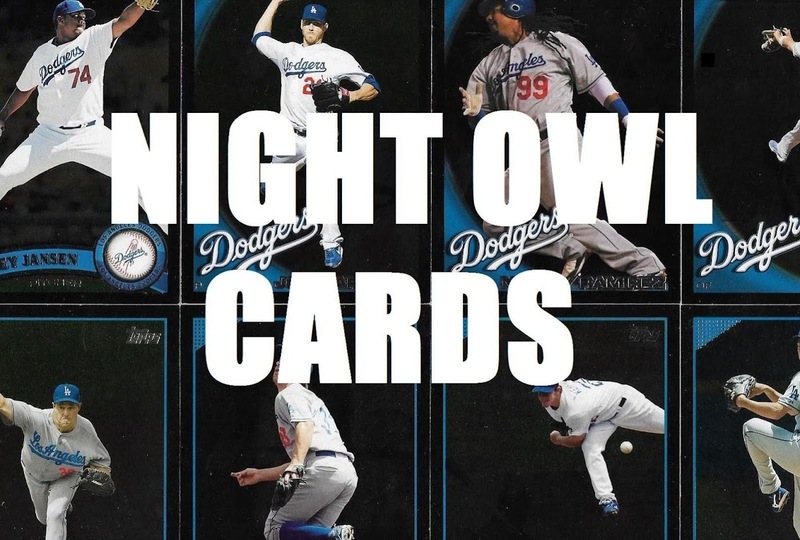 And I haven't shown this night card from the package either. 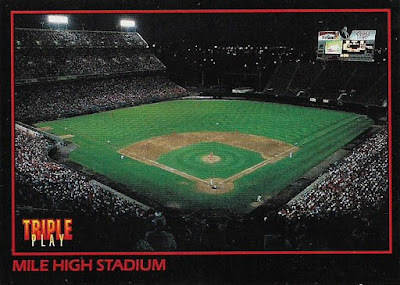 Remember when the Rockies played in Miller High Stadium? Yeah, I forgot about that, too. 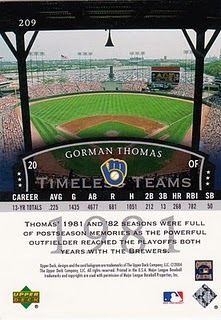 I didn't even know that the stadium was demolished a full 16 years ago. But the Rockies are easy to forget. Remember how they were supposed to be really good in the postseason? That didn't last long. 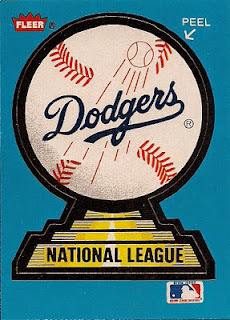 The Dodgers, who supposedly have all kinds of problems exposed by the Series champion Red Sox, lasted a lot longer than the Rockies, or a host of other teams that were supposed to be good but turned out to be not as good as the Dodgers. 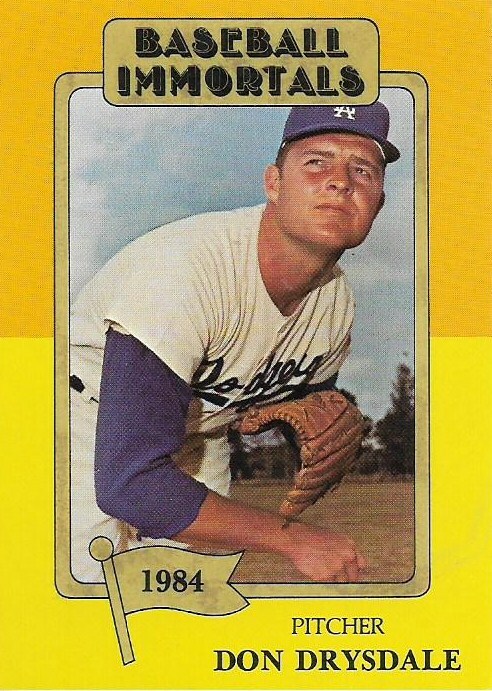 So, before I get to the latest session of the giveaway, let's see some of the Dodger needs that Johnny sent. Fast forward to the giveaway part of the post if you must, but you're going to miss some goodies! For example these things. Do you know what these are? I know they're stickers. And they're very tiny. And they're probably from 1989 or 1990, given the Willie Randolph sighting. Maybe Panini? If I wasn't lazy -- or holding a giveaway -- I'd figure it out. How about this? This is a part of the Draft Picks series from 2003 Topps issued in factory sets (cards 1-5 in blue boxes and 6-10 in brown boxes for maximum frustration -- want the whole draft set, buy two complete flagship sets, sucker!!). All of you have to do is wait 15 years, or four years after Billingsley's career is kaput, and the card is yours! 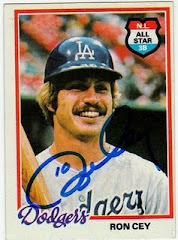 When I sent the Topps version of this card to Fernando to sign, he signed it while also crossing out the Topps logo. 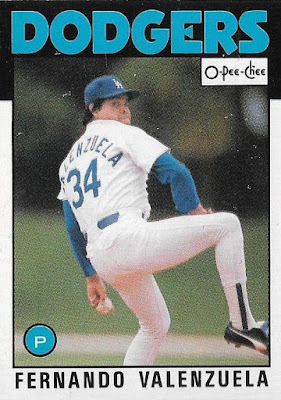 Valenzuela and Topps aren't feuding anymore (evidenced by his appearance in Topps sets the last few years), but if they were I'd be tempted to send this to him and see what I get back. Maybe a maple leaf drawn around the O-Pee-Chee logo? 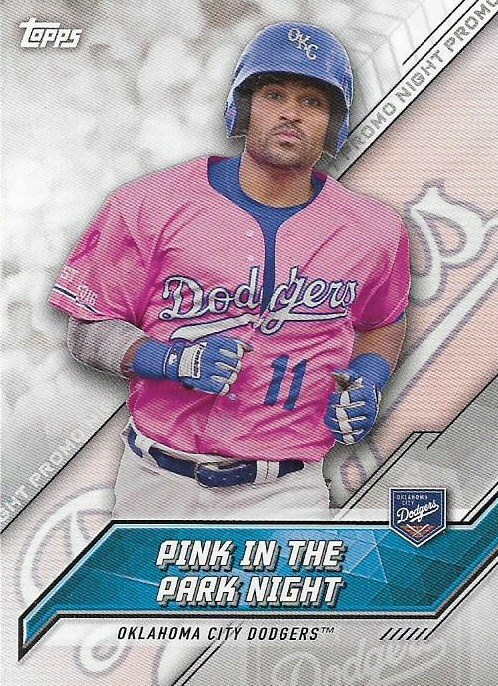 Pink Dodgers jerseys. What will the minor leagues think up next? There's no indication on the card who is wearing it though. 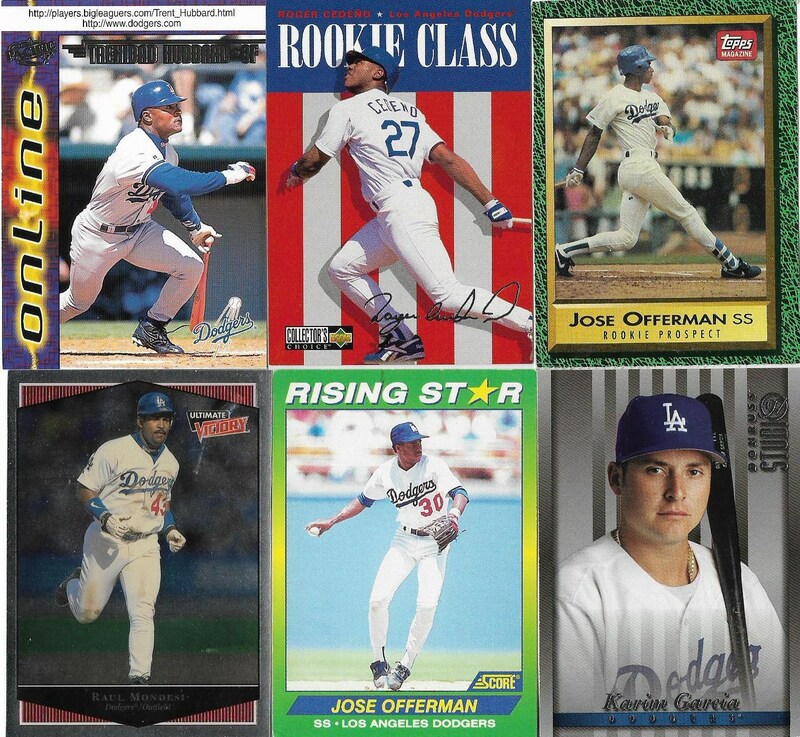 I'm thinking maybe Alex Guerrero. 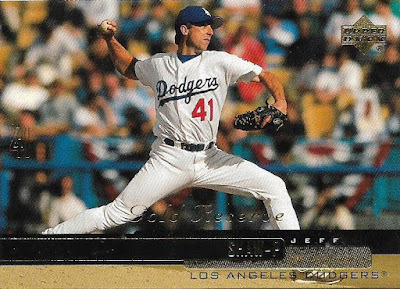 This is why you photograph and don't scan '90s cards. Look at that elegant beauty. All those Leaf Limited cards are needs. These shinies are from many different years. Frankie Montas sure looks out of place with this crew. 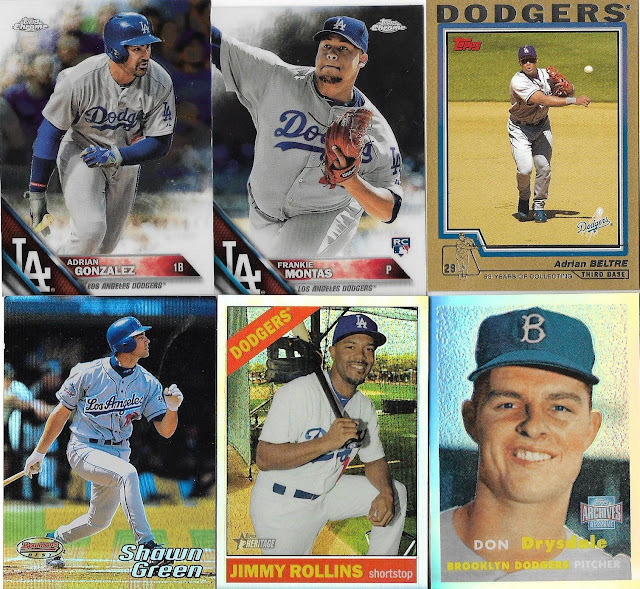 Nothing excites me quite like getting a TCMA card in a package, especially when it's one of these Baseball Immortals cards. 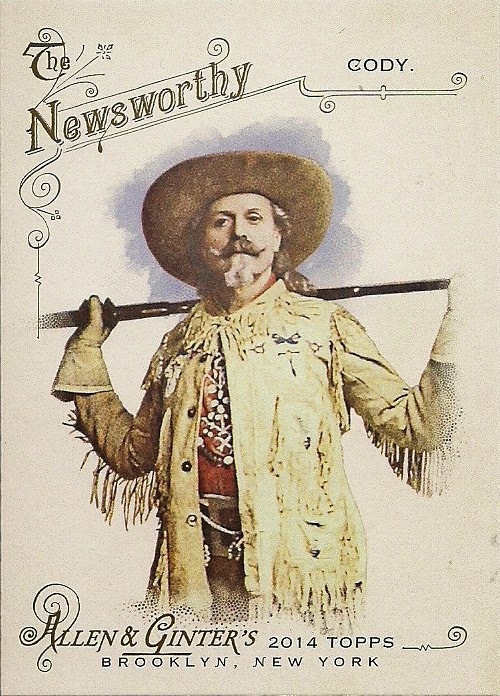 I still haven't cracked down and tried to collect this set, but I WILL someday. 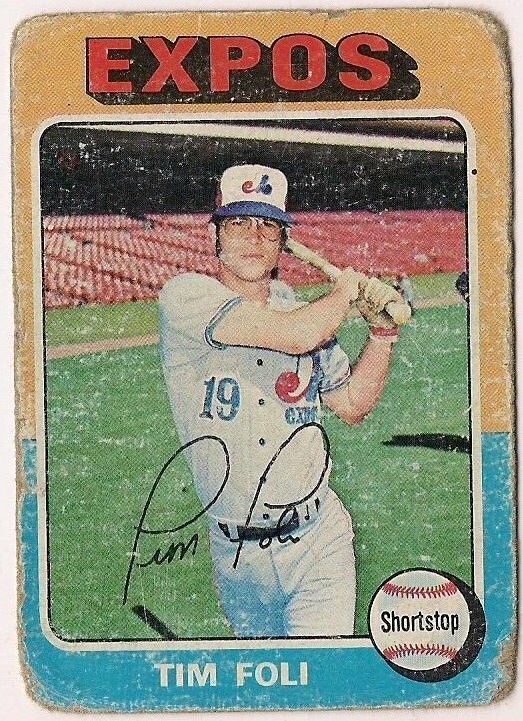 These 1970 Topps Super cards are some of the most unique cards ever made. You could use this for a ping-pong paddle. I can picture 8-year-olds swatting each other on the playground with these. Such sturdy suckers. 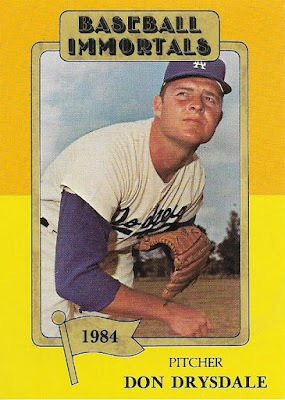 One is to tell the Dodgers that Yaz Grandal isn't their answer. 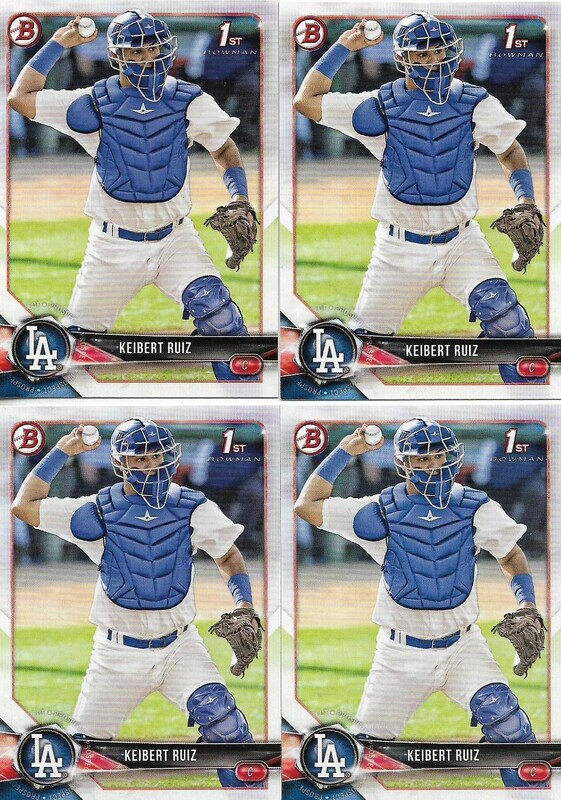 Another one is to tell them Austin Barnes isn't their answer. Another is to let them know that Kyle Farmer isn't their answer. And the last is to tell them that KEIBERT RUIZ is their answer!!! Let's get going! That's a bunch of Twenty Eighteen Needs. 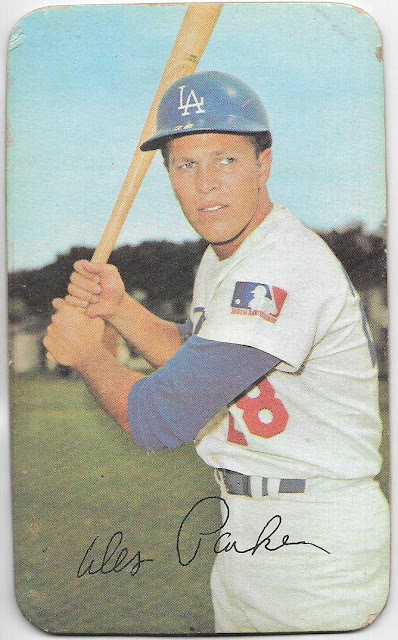 Gonna throw this out there: if Carl Furillo was on the 2018 Dodgers, they might have given the Red Sox a run. Certainly would have knocked in a few baserunners, I know that. I've got to show the relic that Johnny sent. Kaz Ishii will never catch up to the number of Hideo Nomo relics I own. 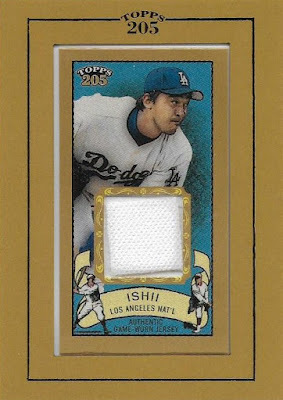 But Topps sure tried to get as many Ishii uniform bits into cards as possible in 2002. All right, the giveaway continues. 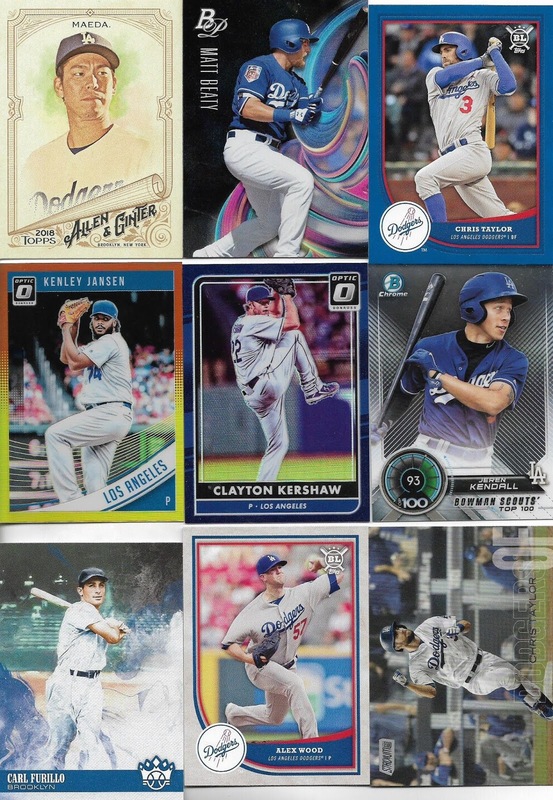 To get you up to speed, on the last giveaway post, Henry Blanchette picked the Charlie Blackmon relic, gcrl selected the 1976 Babe Ruth card, Bo went with the Corey Kluber relic, and kcjays added the Ryne Sandberg SP. By my count, there are six cards remaining. The next pick goes to sg488. He can select anytime between now and 6 p.m. Friday EST. After sg488 picks, it's defgav's turn, followed by Matt of Diamond Jesters, Jeremya1um and mr haverkamp. If we get through all those people before Friday evening that then ends the giveaway! It's the churro guy from the San Jose Giants games! I have no idea who this guy is! 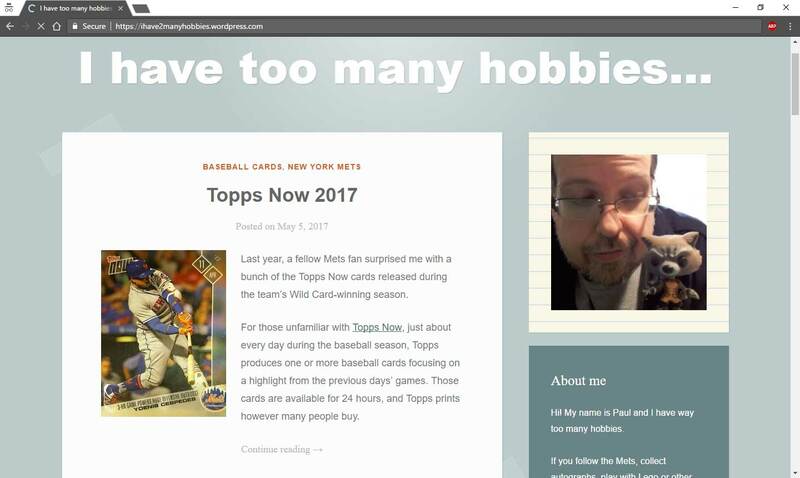 But Topps says he's famous! And I love fried dough! Does it make the binder? : It does. 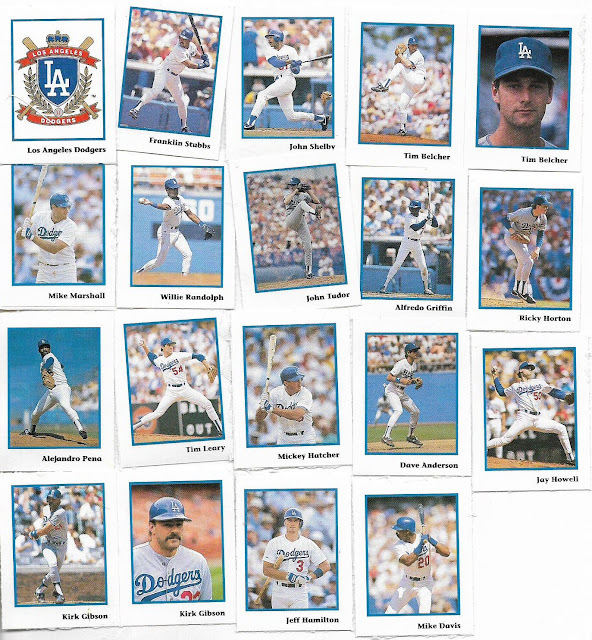 It bounces a '92 Stadium Club card of Calvin Jones. Sorry random Mariners reliever, you're no match for an overhead stadium night shot. sg488 made his pick via email. It's the 2017 Topps SP Babe Ruth. So it's defgav's turn to pick next. 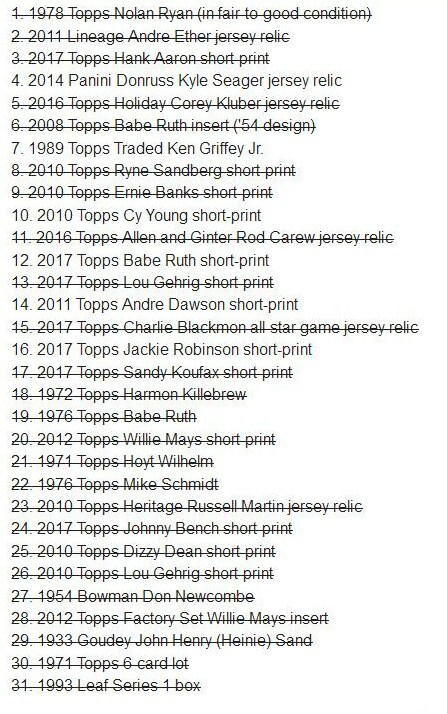 Just received a huge stack of Baseball Immortals. Love that set. Should be writing a post on it sometime this month. As a regular reader of your post, I too will be glad when the giveaway is done. 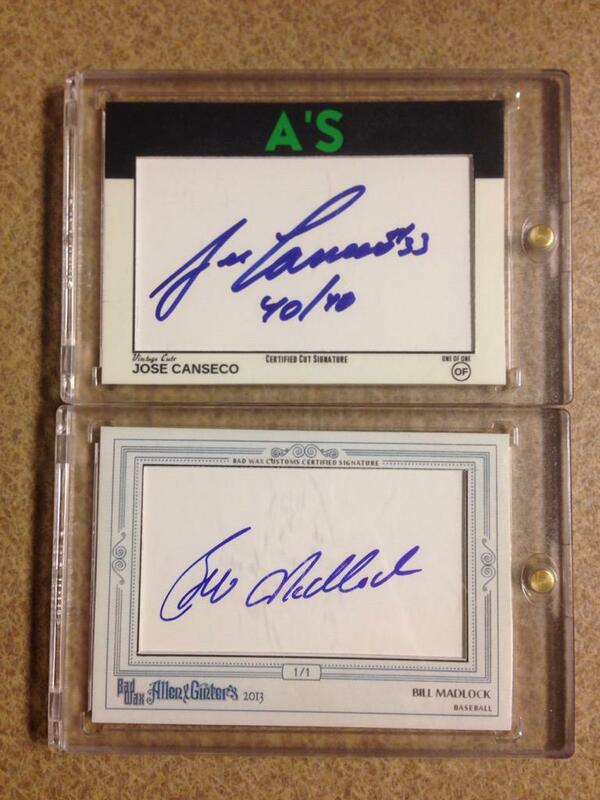 Like the Wills and Drysdale cards. Good players from a good era. 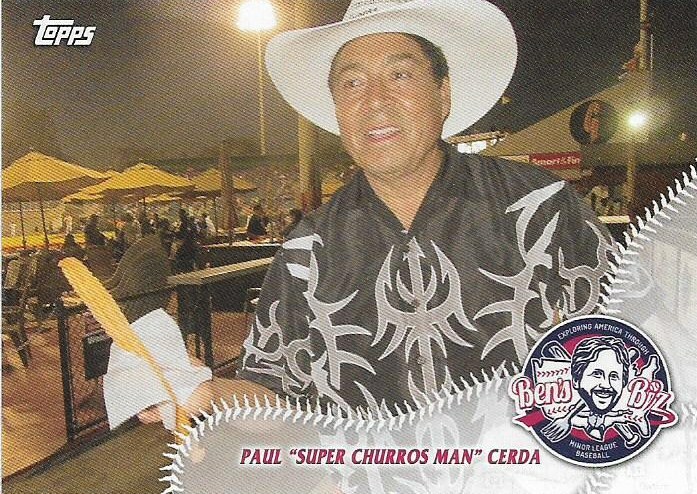 FWIW, the churros at San Jose are pretty damn good and that guy's super nice. 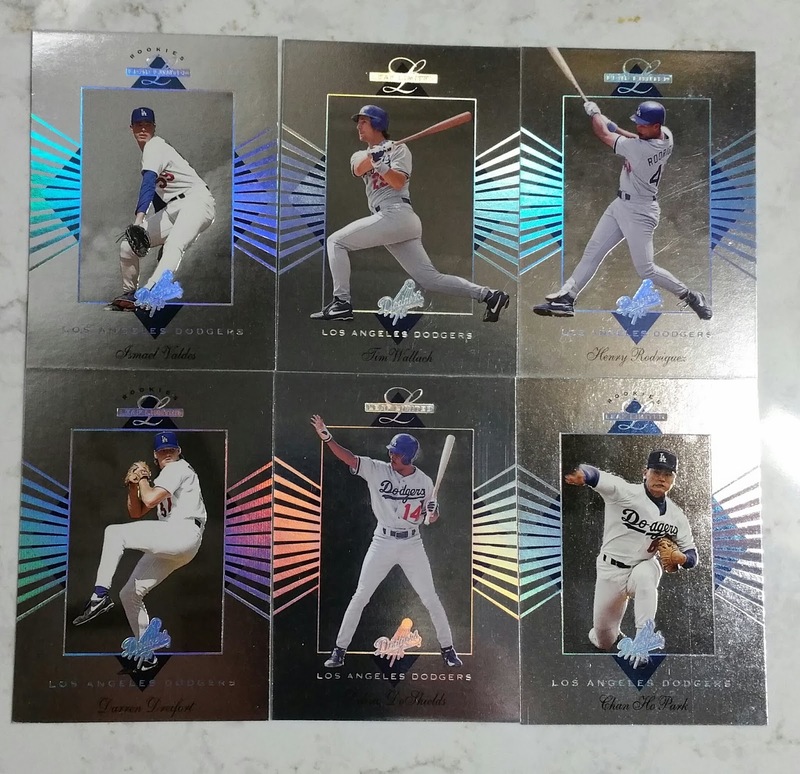 I'll take the 2011 Topps Andre Dawson SP. Thank you. The stickers are 1990 Publications Intl. Think they came in some type of perforated book format. 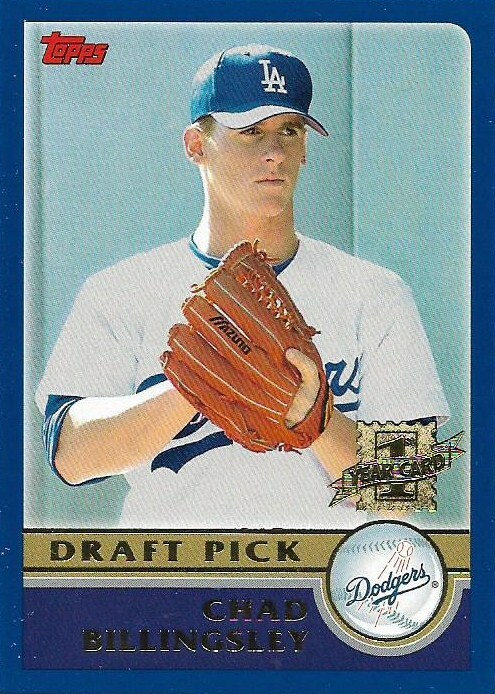 Wow, I know it's junk wax era, but I'm surprised the rookie card of a Hall of Famer is still available. I'll give it a good home. Thanks you, and congrats again on 10 years of blogging awesomeness! I would love the Seager jersey card! I was lucky enough to see him play this year and get his autograph for my 2-year old’s collection. 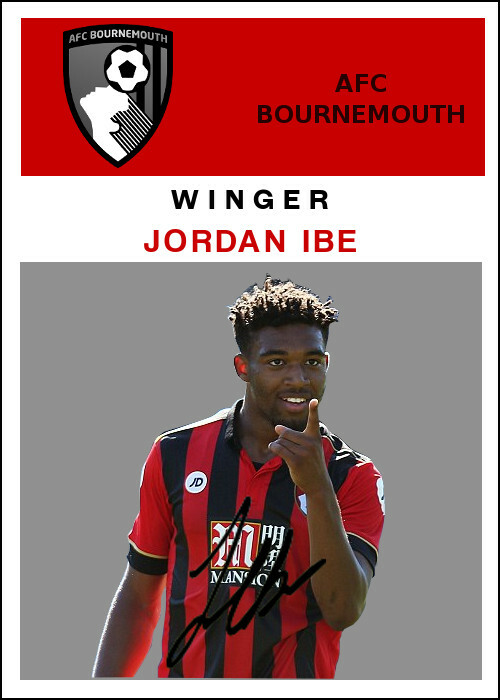 I think the jersey card will be a cool one to go with it. Thanks for the contest! Churro Guy is most definitely a night card. Does it make the binder? 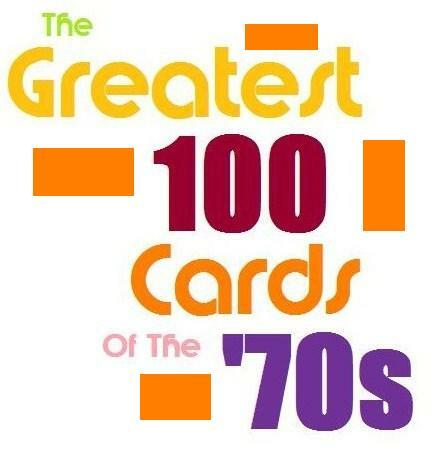 I'll have to find that card someday. 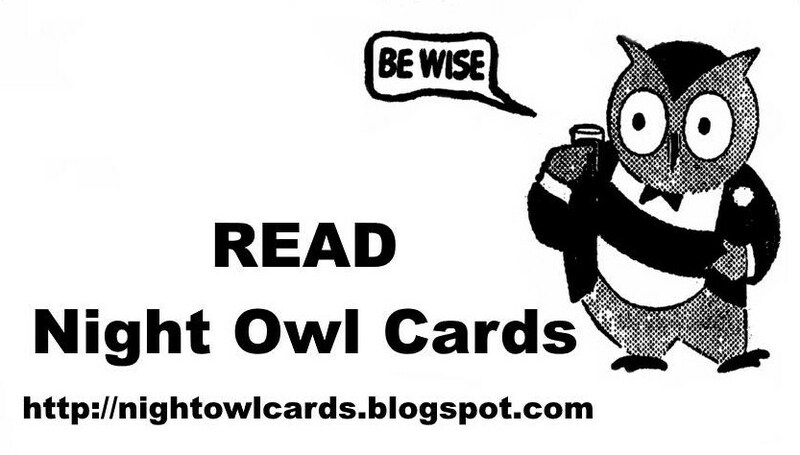 Awesome Night Card continues to educate and enrich. I saw three games at Mile High Stadium before it became the exclusive home of the Broncos. 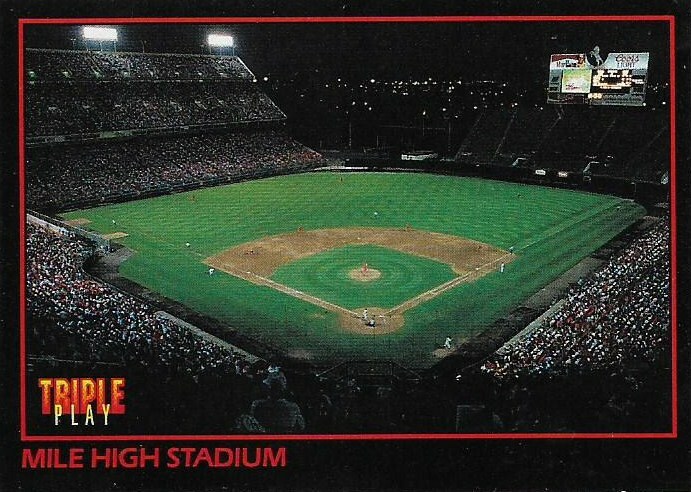 The strike put an end to that, though, and then Coors Field opened in 1995. Set collectors of the world, unite!